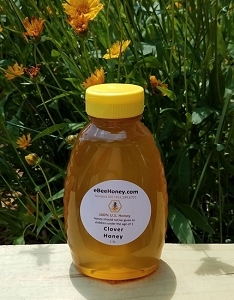 Choose 20 different honey stixs below as they come in packs of 10. You'll get 200 total straws. If you want to mix and match stick varieties, please read product description below. 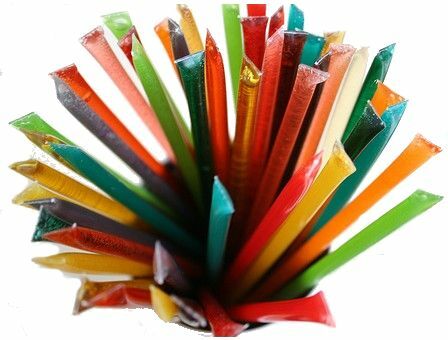 In this pack - get 20 different varieties of honey straws in packs of 10, so 200 straws! (ie get 30 clover, 40 orange blossom, 80, peppermint, 50 raspberry, etc). Simply add the item to your shopping cart. You can let us know by typing in the varieties and quantities in increments of 10, desired in the "comment" box which is located by the credit card info on the checkout page. Love all the flavors. Great customer service. Ordered 200 honey straws for my sons bday party and they were so so good!! I can't wait to order more!!! Everything was packaged beautifully and labeled. We have not tasted yet because these are party favors but so thrilled with the presentation and delivery. Have already referred your site to other friends planning weddings. Thank You so much. Bought for Father-in-Law for Christmas and he loves them! Arrived promptly and well packaged. Will be ordering more but for me this time! We bought 100 of these honey sticks in multiple flavors last year to consider using as wedding favors. While we didn't choose to do that, we did fall in love with the honey. So this year I bought 200 sticks to give as gifts for Christmas. They are a great deal and delicious! 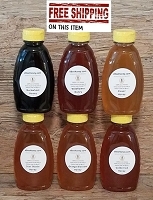 Fast shipping, reasonably priced, high quality honey! Love the convenience of the sticks. My kids love them and love the variety of flavors! My whole family loves the honey sticks. We have place 2 orders from you and have been very satisfied with the accuracy and the speed with which we received our order. We tasted all of them, and as usual, we all have our favorites. But we love them all. We will use your company in the future for re-orders. It was delivered within a week for my wife's birthday and she loved the honey sticks! She like being able to pick all of her favorite flavors! So many tasty flavors to choose from!! Fast delivery and great communication. Great prices! I highly recommend them! ?? Loooooved these!!! They were great!! I loved all the different flavors they offer. Shipping was SUPER FAST!!! I will definitely be back! I purchased 545 sticks in almost all the flavors to divide between our three daughters and their families. They were VERY excited to have their own honey sticks instead of having to "share" out of my mason jar. I will definitely be continuing to keep out mason jars filled up. I bought 200 honey stix in a variety of flavors for myself and daughter. the flavors are great , we usually eat several in a row because we can't decide which one to choose. we can't wait to try all the other flavors. highly recommended ! The raspberry flavored honey sticks are my favorite. I also purchased the buckwheat, wildflower, clover, and orange blossom sticks. Great looking and great tasting, I am giving bunches of these with lemons and wildflower "seed bombs" away as Christmas gifts this year. 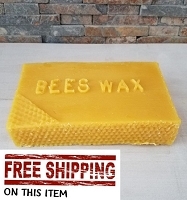 Thanks for a great product and inspiration to help save and protect the bees!!! We bought these for wedding favors and put them in Mason jars at each table. People loved them. They were delicious! I purchased these as a trial for a Christmas idea I have. I gave some of them to both my children to try and I think they would work well for the picnic basket gift idea. I also keep a few of these with me in case I have a drop in my blood sugar. I am disappointed in some of the flavors. 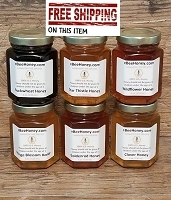 I haven't tried them all yet, but out of the ones I have some don't have much flavor other than honey. I would like to see a clove flavor one come out. We ordered three flavors of honey sticks for wedding favors; Cinnamon, Orange Blossom, and Blackberry. They were all so delicious but blackberry was my favorite! Great service and fast shipping. You guys are awesome! I was looking for a creative wedding favor for my 6/6/15 wedding when I stumbled upon this site. Prices were fantastic, so I bought 11 flavors of honey straws...600 in all! Shipping was very fast; I'm not even kidding, the box appeared at my door 2 days after I ordered. Our wedding guests loved being able to choose flavors of honey straws, and they are very tasty! I eat them straight from the straw just like when I was a kid. Thank you, eBee Honey! This was one of my favorite wedding purchases. Everything arrived wonderfully quick. We were ordering them for a wedding, but had to try them out first. Very nice flavors and variety. Would purchase again. My kids LOVE honey but putting honey on a spoon leads to big messes. The stick is perfect. No drips! My kids love the apple. Ever since I was a kid I loved honey sticks. Everytime I go to the fairs I try and find them still. Lately the honey sticks have not been the same until I ordered yours!!!! The variety and taste again smooth and tasty and the price is great. Quick delivery and I was in business with tasting and using them for baby shower favors. Thanks for your excellent product!! So many flavors all taste excellent. Fast shipping. Email updates of your order. Over all great purchase for my sisters bridal shower. 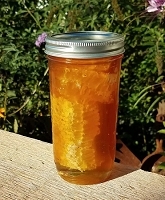 Honey straws are a great on the go treat. Great price and wonderful selection to choose from. Bought 200 honey sticks as part of a tea themed 90th birthday party. Great product. In fact I just placed another order for 150 more! 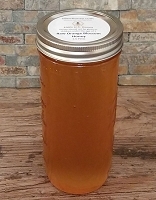 The honey is top quality and worked great for party favors at our daughter birthday party. Loved them! So many flavors to choose as well! I ordered the Honey Stix for a Baby Shower and used them in party favors and they were great. 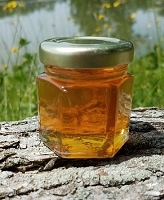 The quality of the honey is excellent. I ordered several varieties: Agave, Blackberry, Wildflower, Orange Blossom and Clover and they have been wonderful in tea. The taste is very smooth and distinctive. 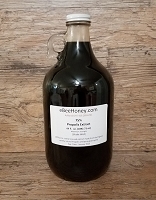 Would recommend eBeehoney to everyone. Everyone loved that at our 4th of July party!!!!! They were loved as much as the fireworks!! The variety is amazing. Love I can pick and choose my flavors and quantity of each. Every flavor has had so much depth and makes a great sweet little treat. Great right from the straw or added to oatmeal, cereal, coffee and tea. My daughter can't get enough of these! We ordered these for a Winnie the Pooh/Honey Bee themed baby shower. They were perfect! Better than expected! We received then much quicker than expected and they were amazing! Everybody lived then and the flavors tasted great! We bought these for scout camp outs and hiking trips and everyone loves them. They are a great source for an energy boost as well as something to snack on. We were able to pick and choose which flavors and how many of each that we wanted - a great plus.